The Compassion Center is hosting a Spring Movie Fundraiser to Support The Africa Yoga Project on Saturday, April 30th, from 7:30-9:30pm. 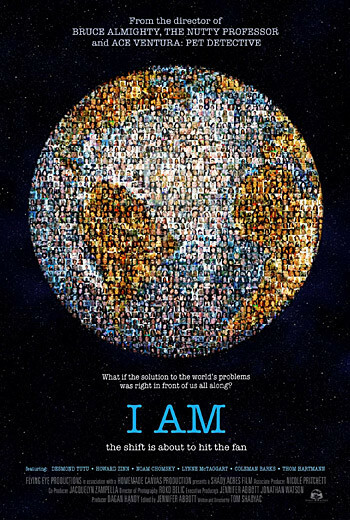 This fundraiser has been created by Jennifer DiCaro and will feature the movie “I Am“. “I AM” is an amazing telling of one man’s journey to discover who he really is. Tom Shadyac, Hollywood movie director with credits such as The Nutty Professor and Ace Ventura, had everything he ever wanted but still felt he needed more. Join him and some of the greatest minds of our lifetime (Noam Chomsky, Desmond Tutu, Howard Zinn to name a few) as they search for an ultimate truth to answer the questions— who are we, and why are we here? Come join us and your $20/adult and $10/child donation (cash or credit card) will go to the very specific cause of funding one of AYP’s most dedicated Yoga instructor, Magdaline, to complete her training with Yoga For the Special Child this August, in order to help make yoga accessible for ALL people in her community! Magdaline Adhiambo a resident of Nairobi, Kenya has set the intention of becoming a healer for special needs people using yoga. She has shown tremendous dedication and selfless service to this population in and around her community. She was recently granted a FULL scholarship for a month long Advanced YFSC training given this August in Florida. Let’s help her be able to take advantage of this opportunity and raise funds for her flight and room and board. There is limited parking in our parking lot but there is plenty of parking available on Hylan Blvd.